Every Sunday as I was growing up, my family would go through our weekly ritual of going to our Sunday service at the Korean United Methodist Church (KUMC). We’d pile into the minivan, wearing our Sunday best – usually sitting in the car for a few minutes while we waited for my mom to grab something she’d forgotten from the house or for my sister or me who was still slowly waking up and who needed some extra time to get ready – and then drive about fifteen minutes to our church building. After some five to ten minutes searching for parking, we’d get out of the car, and go our separate ways – my parents to the main entrance where the adult Korean service was held, and my sister and I to the side entrance, where the children’s and youth chapel was located. Then, from that side entrance, for the first few years at least, my sister and I would split again. I would go to the chapel, where “children’s church” was being held, and my sister, as a big bad 6th grader, to the classrooms for Sunday School. After a couple of years, when I finally “graduated,” I also joined the ranks of the youth and we’d together head in the same direction. At around 12:30 pm, when we got out of our service, our parents would sometimes be waiting for us amidst the crowd of other waiting parents checking their watches, wondering why the service was going late, craning their necks to see if they could see their children. In particularly long services, I’d look out the window to see if I could spot my parents there in the crowd. Sometimes I’d see them there – their faces right up to the small rectangular window in the door, eagerly twisting to the left and right to see if they could see me, grinning and excitedly waving when they’d spot me. Other times, when they weren’t there, we’d have to go to the adult side and search amidst all the ahjummas and ahjussis (Korean terms for middle-aged women and men) until we spotted our parents. When we finally found them, we’d either have lunch together at the church, go home, or go get some delicious Chinese-Korean food at Peking City or, if we were feeling more American that day, Panera Bread. Year in and year out, we went about this Sunday morning ritual until I graduated from high school – coming together but worshipping separately. There were a few times when we had combined services, such as during Christmas and New Year’s Eve, but these were the exceptions and not the norm. As a child and even as a youth, I never quite liked those combined services. I wanted to avoid them if possible. We’d have to sit for hours, while the adults sang in the choir and we sang along (or at least attempted to) with hymnals in Korean to the ominous sound of the organ. I missed the drums, the electric guitar, and the ambient sound of the newest Hillsong songs that our youth worship teams were trying to imitate. There was so much standing and sitting and standing and sitting. Then, after all the sitting and standing, we’d have to sit some more and listen to a whole sermon in Korean, which later was translated into English, which made everything twice as long. It was boooring, I thought. As a teen, after encountering more of God’s grace and becoming more serious about walking with God, my impressions of the adult or combined service moved to much more sophisticated “theological” thoughts influenced by my oh so deep (critical) spirituality… The service felt so dry. Where was the Spirit? How could the Spirit be found in such robot-like worship with all the sitting and standing, the repetition, and the old hymns? Was there any room for God? I preferred our separate services. We children and youth, mostly 2nd generation “made in the U.S.A.” kids, could worship and listen to the sermon in our native English in our preferred contemporary style, and our parents could worship and listen in their native Korean in their preferred “old-school” style. It was more convenient…more strategic. In this passage, it’s significant that John clarifies that this great multitude is from every nation, from all tribes and peoples and languages. It is not just one crowd filled with all the same kind of people, but instead is filled with different kinds of people. However, more important than their differences (e.g. language or the style in which they’re worshipping) are the facts that they have all been clothed in white robes and are all worshipping the same person, the Lamb of God, together. Differences are important but they are also transcended; they do not divide. This vision is thus one of unity in diversity – a unity based not on human standards but on God’s initiative. We see a glimpse of heaven on earth as well in Acts 2 when people first received the Holy Spirit. Interestingly, the picture seems to parallel Revelation 7 in many ways. Here too there is a great multitude that has come together and that is also testifying to the mighty works of God. Yet, even more interestingly, rather than praising God in one voice (most likely they were all Jews from Palestine and thus all spoke Aramaic), they praised God in many different languages through the power of the Holy Spirit. Again, in this passage just as in Revelation 7, differences exist and are important. However, these differences do not divide. On the contrary, through the power of the Holy Spirit, they actually end up bringing more people together, for people from many different nations end up hearing the good news in their own language, and after Peter’s speech, 5,000 are added to the number of worshippers! Through this understanding of Scripture as a bigger story, I’ve come to appreciate difference in the Church, and reconsider my view that difference alone was enough grounds for separation. Through meeting brothers and sisters from a much wider variety of Christian traditions, and also experiencing a wider variety of church contexts firsthand in the U.S. and overseas in Turkey, Korea, Peru, India, and China, I’ve also seen how I put myself in the position of God when I judged others' worship based on my own standards or preferences. As I’ve confronted my bias, I’ve learned that different styles emphasize different aspects of God. I remember one conversation in which this became particularly clear. 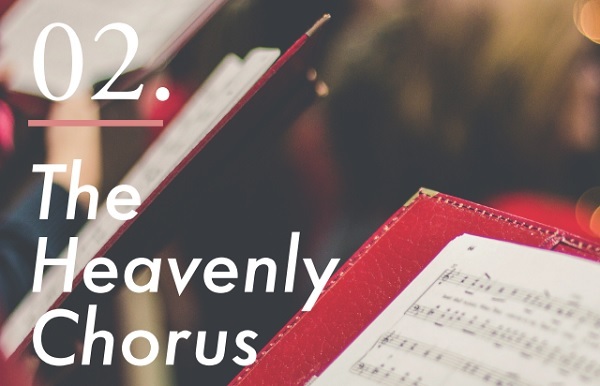 My friend and I were discussing heaven and what we imagined it to be when my friend (who was Catholic) jokingly stated, “I know one thing – if it was like a Hillsong worship concert 24/7, I’m not sure I’d want to be there.” I was a bit surprised. Honestly, to me, that picture didn’t look too bad. I really liked Hillsong. Many of the lyrics resonated with me, and when I sang their songs, I felt like I could really worship. What did this guy have against them? Furthermore, he was younger than me; weren’t young people supposed to like this type of music? But he much preferred a quieter, contemplative atmosphere as opposed to the “hip” sound of the drums and ambient sound. To him, in going through liturgy – the sitting and standing, sitting and kneeling, kneeling and standing, the old-school hymns, the incense, and the chants – he was reminded of the holiness and power of God, which led him into deeper and more honest worship. It clicked for me then. What to me seemed dry and devoid of the Spirit, to another was full and resonant. I had thought tradition was stifling the work of the Holy Spirit when in reality it was I who was stifling the Holy Spirit’s work by my narrow vision of where the Spirit could be found. I was defining worship on my terms instead of God’s. Though I may not have felt that the worship was actually worshipful, this did not mean worship wasn’t there. My brother in Christ was worshipping with his whole heart. Worship was present. God was being worshipped. After seeing Scripture in this way and experiencing the beauty of the diversity of the global church, I’ve come to appreciate and see the value in difference in the Church. Thus, I feel some sadness when I look back on my church experience in childhood and youth and realize what I might have missed because of my separation based on these differences, whether it was by age, language, or style. What was the cost of convenience? Was it really more strategic? I also feel saddened by the fact that what I experienced on a micro-level in my immigrant diaspora church (KUMC) that was divided by real language and cultural barriers across generations, I've experienced time and time again as an adult in the wider U.S. church context. Churches are often defined by their ethnicity, their age group, and their worship styles – that Black church, that Chinese church, this hipster young church, that contemporary church – and by their division rather than by their love and service for God evidenced by their love for one another and their local communities. Although individual local churches seem to maintain close ties or fellowship with others of the same type, in my experience they do not often do so across different barriers (e.g. an immigrant Korean church partnering with a historic Black church or a predominantly white Evangelical church with a Latino church, etc.). Instead of unity in diversity, what we often see is unity in sameness. How is this different from what we see in the wider culture? Are we trying to create our own unity based on our standards or are we trusting in the unity that God created that affirms differences and yet transcends them? For my family and me, although we may have missed out on each other during the service, at the end of the day, we came back to the same home. We still saw each other on a daily basis; we were still family. Sadly, I find in the state of separation of many of our churches, we do not have that same privilege, although in reality we truly are family, united by God’s Spirit. What are we missing when we deprive ourselves of one another? How then do I think we can move forward? First, we must remember that our stories are not the story, and that we are part of the much grander narrative of God’s redemptive work of reconciliation. We must keep the end of that bigger story in mind and remember the heavenly vision – the unity in diversity in which differences are affirmed and at the same time transcended – that was humanly impossible but has been made a reality by God in Christ. With this vision in mind, we can see that our unique voice is important, but know that we are one voice among the heavenly choir of many voices. This means that we must appreciate and celebrate our own unique heritage, generational preference, and worship style. We must lift our voices up. At the same time, we must also learn to appreciate and celebrate other sisters’ and brothers’ unique voices that may be very different from our own. We must also hear and make space for their voices. I confess this is not an easy task. It requires time and intentionality, along with sacrifice, to actively engage with people who are different from us. It costs our convenience, our comfort, and our preferences. In our “loss,” however, I believe we will gain so much more. A choir is not much of a choir if you can only hear the sopranos. An orchestra is not much of an orchestra if you can only hear the violins. It is all the sounds – the sopranos and the altos, tenors, and the basses; the violins and the cellos, the violas, winds, and percussion, etc. – playing in perfect harmony that make a true choir and orchestra. Our voices may become quieter, but through this, we’ll be able to hear not only our own voices but also the heavenly harmony of all the differences uniquely blending into one voice, worshipping God. Through this, I believe, we will see more of God’s glory. God has made the choir and chosen all the right parts. Will we listen? Julia Kim is currently a student at Gordon-Conwell Theological Seminary and ESOL teacher. Originally from the suburbs of Detroit, Michigan, she moved to the East Coast nine years ago for college, and has been there ever since (minus one year overseas). Besides reading and writing, Julia enjoys photography, art and music.